The first year there were no figs. Last year there was barely one spoonful of tiny figs. But this year, after a mild winter and plenty of cool, spring rain, there are figs! 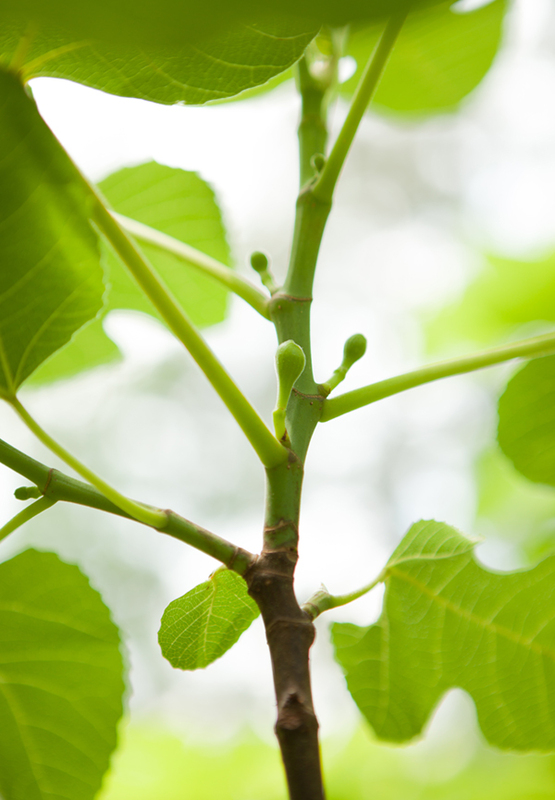 We do not know what kind of fig tree this is. 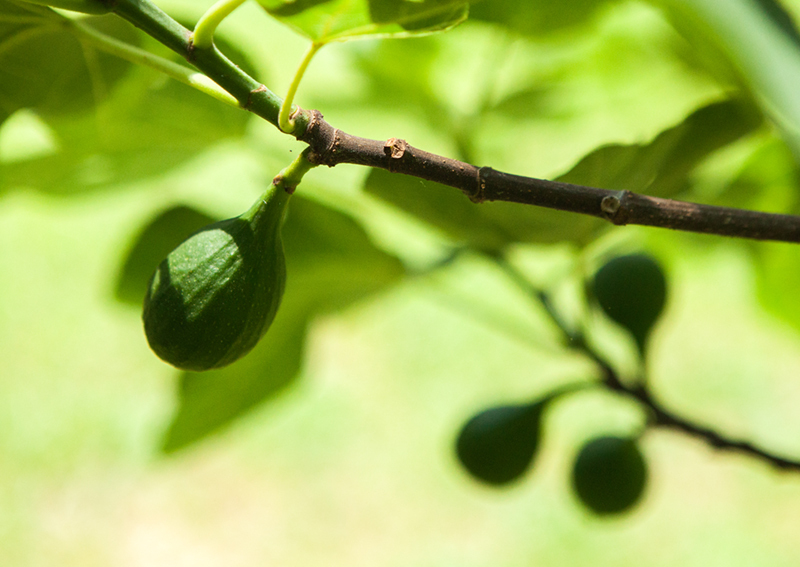 The figs are plump and healthy. And within the reach of any hungry deer… which I am praying does not happen! 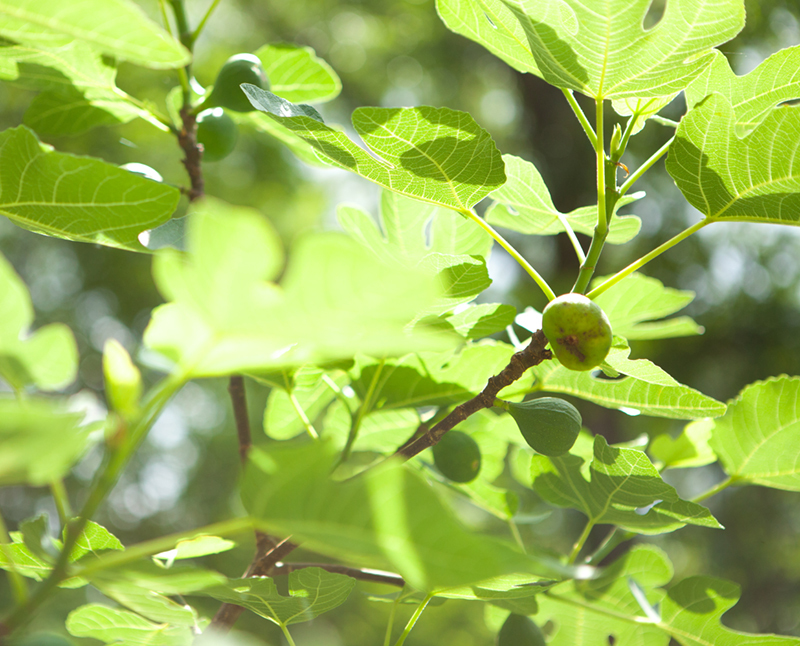 We don’t know what species this fig tree is either but it’s much taller than the other one. We will need a ladder to pick the figs when they are ripe. The first year there were no figs. Last year one tree had no figs and the other had one taste. This year is promising. We just had to wait.